So Many Ways to Capture Documents! Whether you are capturing documents from a desktop scanner, network copier/scanner, fax machine, email or Microsoft Office®, PaperSave’s Electronic Document Imaging allows you to capture documents based on your preference, process and hardware available. The numerous acquisition methods are listed below. Scan Documents directly to records right from the desktop. One click! 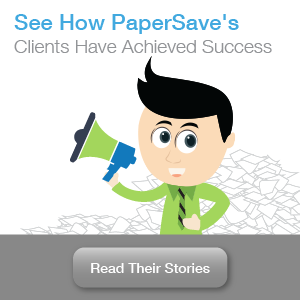 Scan documents in stacks and let PaperSave do the work. PaperSave will read the ScanLater barcode and automatically match the physical document to the corresponding record or transaction. Enter transactions directly from an image within a Workflow Queue. PaperSave automatically attaches the original image to the transaction and eliminates all of the time needed to file a paper document! 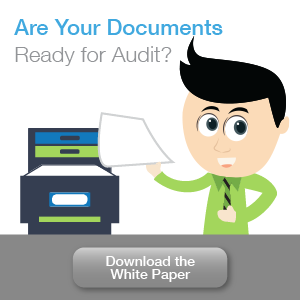 Capture documents produced by host system like AP Checks, packaging slips, bill of ladings, etc. Capture email and attachments and seamlessly enter them into a workflow or associate with an existing record in the system. All from a click of your tool bar within Outlook. Whether it is a PowerPoint®, Word® or Excel® document you’ve received or created, seamlessly add it to a record or enter it into the workflow from your tool bar. “Grab” a document from Outlook, file manager, or your desktop and drop it into PaperSave or a workflow to automatically associate it with a record or transaction. Simply right click from any supported file type and be able to add document seamlessly into PaperSave. Browser out to your computer or a network folder to grab a copy of a document. Print directly into PaperSave using the PaperSave printer driver to capture, index and store documents.